Hubby Loves the Soap Too! I have been using Forever Clean soap for quite some time now and LOVE IT! So when my husband complained about his dry, itchy skin this winter I asked for a subtle fragranced soap sample. We were sent a few and the first one, BAY RUM, my husband tried was a hit! It soothed the itchiness and helped with the dry skin. The Bay Rum fragrance was especially nice as hubby is an Old Spice kind of guy. I purchased a Sea Salt Scrub (Ocean Rain) while we were touring the East Coast in our MotorHome this past Summer and absolutely love everything about it; the smell, the feel when washing and the smooth/silky feeling my hands have afterwards! We live in Texas (North of Dallas) and I ordered 5 more to take as gifts to our upcoming Family Christmas trip in Florida. I can’t wait to share it with the Women in our Family. I purchased the soaps to use for my guests favor bags, Susan and the others were very helpful. I chose to use them in this because my bags were a Maine theme , and they being from vassalboro, was a certain advantage. I will tell all that this was the best! 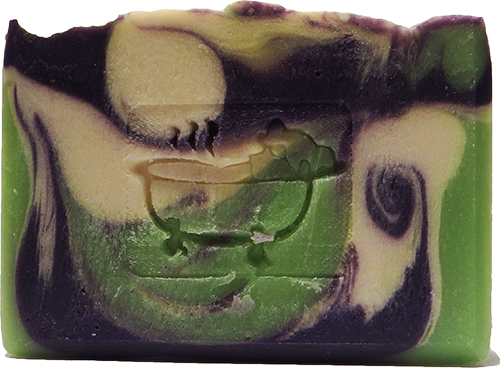 I tried the Apple Balsam Pine and I have to admit it smells better than most soaps and the scent sticks around. Left my skin feeling super clean and soft !! Another great product representing the Beautiful State of Maine. I’d strongly recommend these soaps to anyone! I have a problem with dry itchy skin in the winter. I used your soap ONCE and the itching subsided and Now the itching is completely gone. This product is the best I have used. And I have tried a lot of products, living in this dry winter State. Your products will be a staple in my house from now on. My husband even liked the man soap!!!!! !